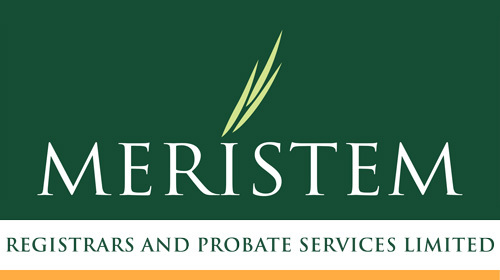 Meristem Registrars and Probate Limited (MRPL) is an owned subsidiary of Meristem Securities Limited. MRPL was established as a bold step towards the achievement of the financial services integration objective of Meristem Group. MRPL is a combination of two key service offerings, Registrars and Probate Service. As Registrars, MRPL operates an automated Share registration services with state of the art technologies that offer our efficient, accurate and reliable services to meet tailored client needs. MRPL provides services based on confidentiality policies and operate within industry requirements and regulatory guidelines. The company is duly registered with the Securities and Exchange Commission (SEC) and has above the minimum share capital requirement. To be the Registrar of first choice, known for professionalism, innovation and quality service delivery. To provide quality, creative and efficient share register administration services to our clients and their shareholders. For over 11 years, we offer unique and quality services aimed at satisfying our clients general as well as specific needs. I have been dealing with Meristem directly over the last couple of months and I find their service to be exceptional especially considering the prevailing situation of conducting business in Nigeria. In addition to previous recommendations from other independent third parties as part of my due diligence, I can attest to the quality, efficacy and cost of service that they have since provided. 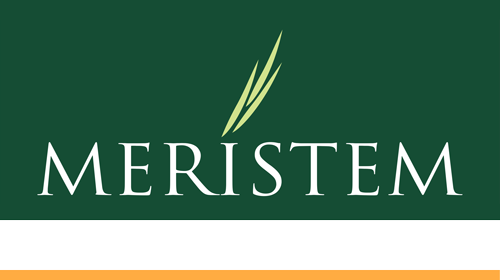 Meristem’s performance has also exceeded my expectations at this point and I would greatly recommend their service for obtaining a Letter of Administration.